DOCTOR WHO - The Proposed Eighth to Ninth Doctor Regeneration | Warped Factor - Words in the Key of Geek. It may seem a moot point now, with the Eighth Doctor revealed to have regenerated into his War incarnation, but the original intention was to have him become the Ninth Doctor, though not on television - Russell T Davies preferring a fresh start with a new take on the Time Lord. We would have seen the change happen at the culmination of the final series of Eighth Doctor comics from the pages of Doctor Who Magazine- The Flood seeing he & his companion Destrii arriving in 2005 ( coincidentally the year Doctor Who returned to our screens) & thwarting the plans of a future race of Cybermen to remove human emotion through chemically altered rain. Incoming show-runner Russell T Davies had already given his blessing for the comic to illustrate the regeneration, which ultimately never came to pass. But why? 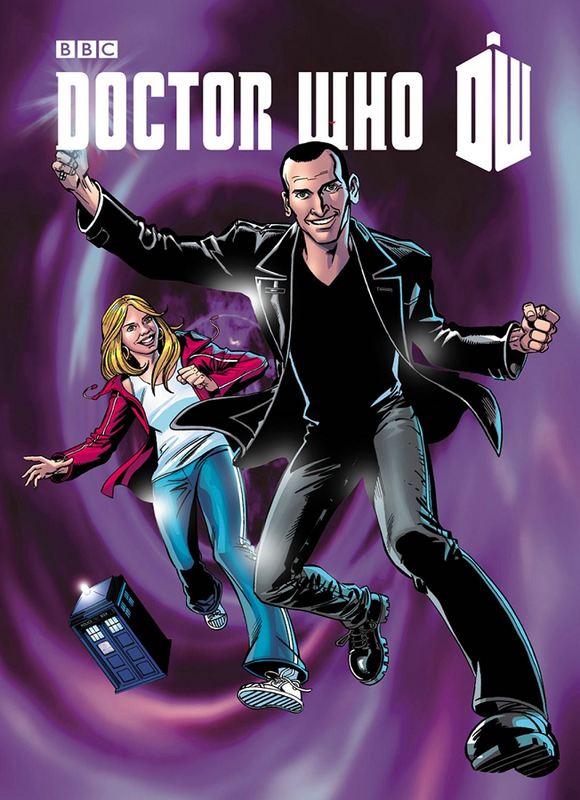 It seems Davies was not keen on allowing the incoming Doctor to travel with companions other than Rose Tyler, while the creative team behind the comics- writer Scott Gray, who had contributed to the majority of the Eighth Doctor's comic era between 1998 & 2004 while also serving as assistant editor of Doctor Who Magazine, & artist Martin Geraghty, who became in effect the house artist during that same period as the man responsible for everything from Eight's début in Endgame ( not to be confused with the novel of the same name which also features the Eighth Doctor, the last in Terrance Dicks' Players trilogy) to his final outing- the prime movers behind The Flood- were unwillingly to kill off Destrii, & instead pushed for a Ninth Doctor-Year One arc with her as the first face his new face saw, prior to his travels with Rose. Ultimately the story ends with Eight & Destrii still travelling together, with no explanation given for the abrupt change in both Doctor & companion in the next story- The Love Invasion, which became the first comic book depiction of the Ninth Doctor & Rose, as well as bringing to an end a run of seventeen full stories for his previous self stretching from October 1996- March 2005. A run that included The Keep, A Life Of Matter & Death, Fire And Brimstone, Tooth And Claw ( not to be confused with the similarly named Tenth Doctor outing), The Final Chapter, Wormwood, The Fallen, The Road To Hell, Ophidius, Beautiful Freak, Children Of The Revolution ( featuring a return for Alpha, one of the humanised Daleks from The Evil Of The Daleks), The Way Of All Flesh, Oblivion, The Land Of Happy Endings & Bad Blood. The Eighth Doctor's death having come about through exposure to the Time Vortex, as will later happen again when the Ninth becomes the Tenth Doctor in The Parting Of The Ways. His post-regenerative comic appearances are collected together in The Cruel Sea- as well as the titular story you'll find The Love Invasion, Art Attack & A Groatsworth Of Wit, all featuring art by Mike Collins. Among the writers were Collins himself ( who penned & drew Art Attack), Gareth Roberts ( who collaborated with Hickman on The Love Invasion & wrote A Groatsworth Of Wit solo, later adapting elements of it for The Shakespeare Code), & Robert Shearman, the man behind Dalek. 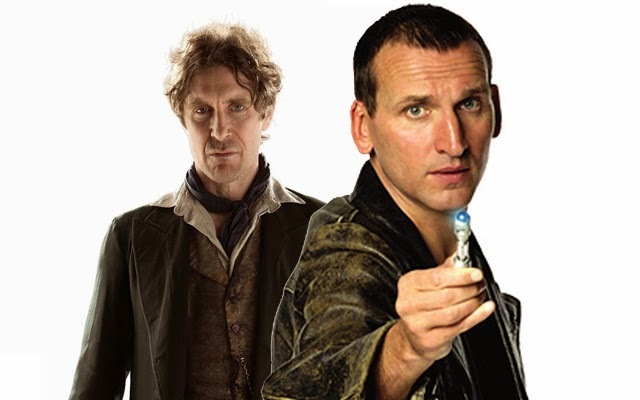 Both the Eighth & Ninth Doctors also feature in The Forgotten, alongside their next incarnation. The Tenth Doctor needs to recover his memories, & the Eighth Doctor segment has him imprisoned, wondering if the Time War is still raging. He can end it all, but only by escaping & rebuilding the De-Mat Gun (from The Invasion Of Time). It's implied that he was the architect of several events which would later be attributed to the War Doctor's doing, & used the weapon to end the War. 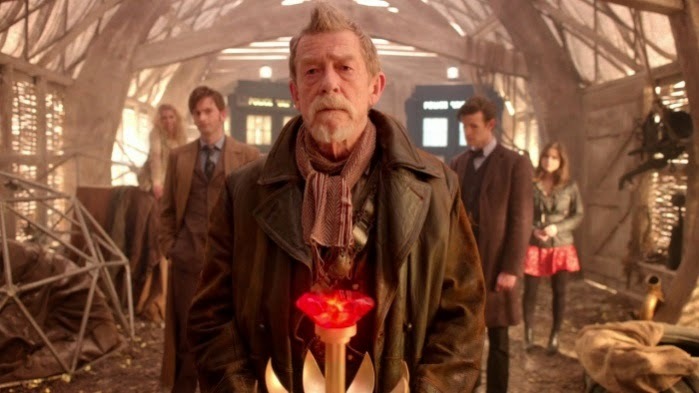 All of which is rendered undone with the introduction of the War Doctor..........Steven Moffat's attempt to close the gap created by the schism between Russell T Davies & the Doctor Who Magazine comics team all those years ago. 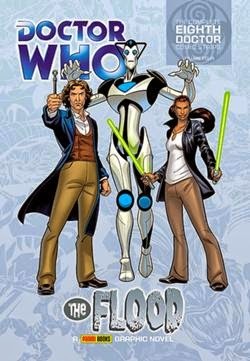 The Eighth Doctor is the only one to attempt to defend the actions of the War incarnation in Dead Man's Hand (the first comic appearance of the War Doctor). Not surprising when you consider that the Eighth had, at one time, been the Doctor who'd lived those events.